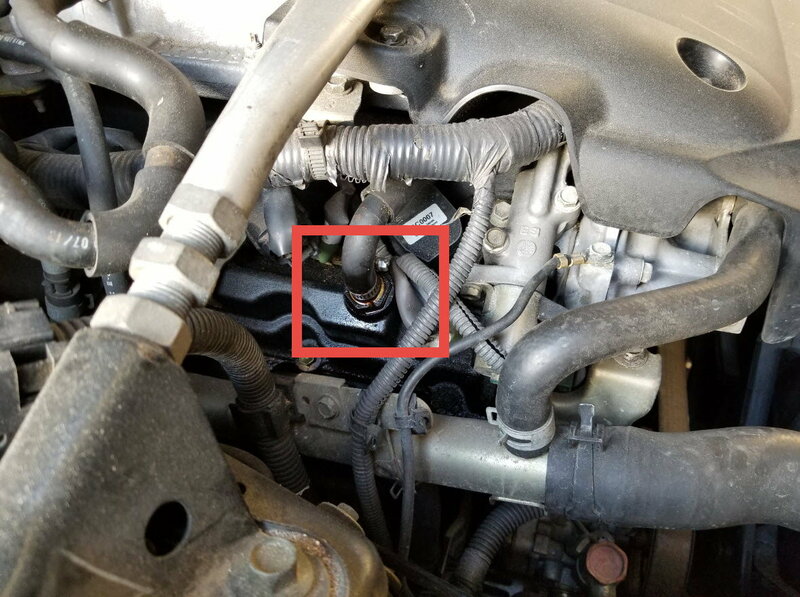 I have an oil leak on the upper passenger side of the engine but I cannot find the part to order a replacement. I have looked through my Haynes repair manual and have searched the internet but cannot find this area illustrated or spoken of anywhere. It's going to be an EASY fix if I can only find out what the heck the part is! Please reference the two photos below. Last edited by LexZ; 01-23-2019 at 12:54 PM. I believe that's it!! Thanks for the quick response!!! 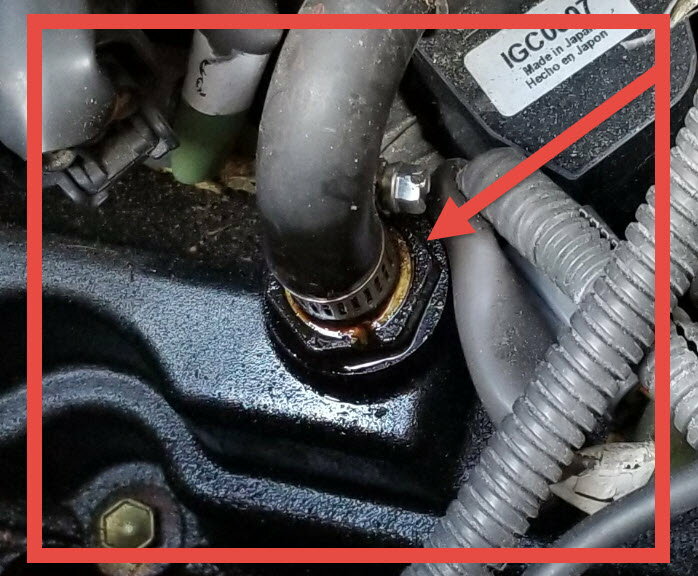 Not to put too fine a point on it- your leak starts above the valve, so old hose and loose clamp are suspect. When you remove the PCV valve, shake it. If it rattles the valve is good, just loose. If the rubber hose is old, replace. If good, tighten the clamp. GL! According to the photo looks like the valve is split or broken you can also remove the hose and just replace it with a small filter helps keep oil out if your interested in doing that just let me know and I can get you some more info,or you can go to Youtube and type in 350Z pvc hose delete. really loud noise. need some help identifying what it is. please help. need help identifying this part.